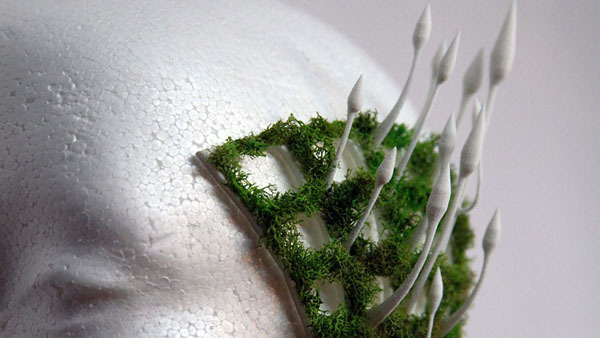 3D-Printed Parasitic Fungus Chic #3dthursday « Adafruit Industries – Makers, hackers, artists, designers and engineers! 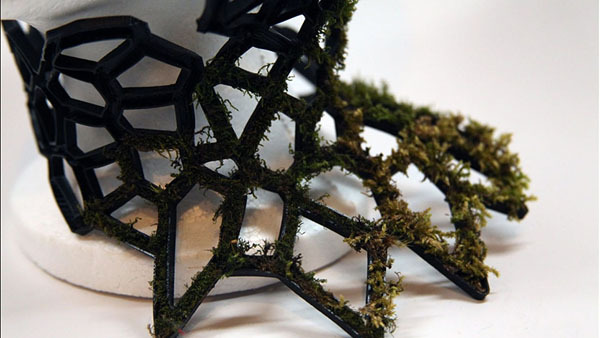 3D-Printed Parasitic Fungus Chic, from ANIMAL. And for context for the cordyceps, check out the nature video below to learn more! 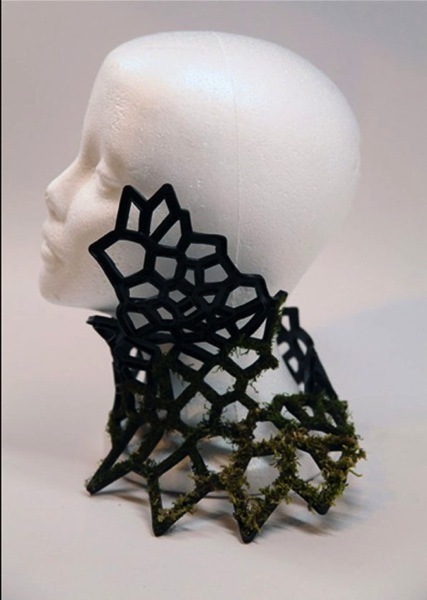 For her ITP class project, NYU student/designer Xuedi Chen used 3D-printing software and chia seeds to spawn these mossy fashion accessories. Their origins are somewhat grotesque: The Invasive Growth Series was directly inspired by a parasitic fungus. The cordyceps operates by infecting an insect with spores, growing inside the insect while performing a sort of “mind control” that forces it to clasp onto a plant just in time for the cordyceps to burst through its body and grow upward. It’s pretty badass.